IPVanish is going absolutely crazy for Net Neutrality Day offering a never before seen 50% off. You can save half the price of their 1-month, 3-months and 1-year packages just by using the special link below. For a 1-year account this works out at just US$3.25 per month (approximately £2.52) which has never been seen before and is unlikely to be seen again anytime soon. The deal is valid on July 12th, 2017 only and you can take advantage of the saving by clicking the special activation link below. The deal is valid for your first billing period only so it’s well worth signing up for a year because the saving covers the entire year. If you just sign up for 1-month then the price reverts to the standard pricing from the 2nd month onwards. Net Neutrality Day is taking place on July 12th, 2017 and is when companies across the US and the world are coming together to plan action in support for Net Neutrality. US companies and citizens are fighting back against a proposal to create a two-tier internet that will let companies who pay more offer a “fast lane” and those who do not will be restricted to the “slow lane”. 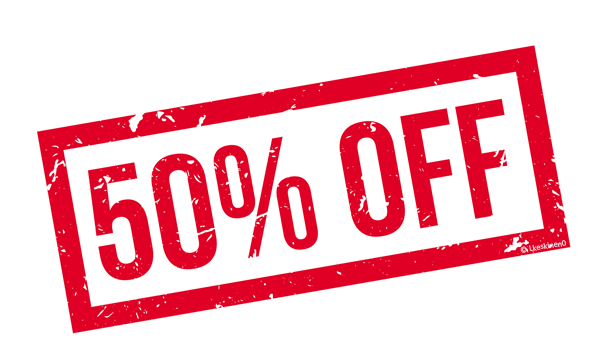 IPVanish is doing their bit by allowing users to save up to 50% off their standard prices for their VPN privacy protection service. The day has been organised by BattleForTheNet and is bringing together a host of large companies to take action and make a stand for Net Neutrality in the US. You don’t even have to be in the US to take advantage of the IPVanish offer, simply click the activation button above and you’ll save 50% off. IPVanish is our number 1 rated VPN provider. In both 2016 and 2017, they scored our highest ever review scores earning themselves our Editor’s Choice award. They have VPN servers in over 60 countries with multiple cities available in many locations. Software is available for Windows and Mac computers and apps are available for mobile devices running Android or iOS from Apple. They even have a dedicated Amazon app for use with the Amazon Fire TV, Fire TV Stick and even Kodi. TV services from the UK and US are accessible such as BBC iPlayer, Sky Go, BT Sport, ITV as well as the National Lottery and other blocked services. IPVanish store no logs of what you do while connected, employ high levels of encryption to keep you secure and you can use the service on up to 5 devices at the same time. To save yourself 50% off this top rated VPN provider just click the special button below.